10. Recommends to Council the appropriate matters for decision to set a balanced budget for 2018/19 and the necessary level of Council Tax in accordance with the Local Government Finance Act 1992 and the Localism Act 2011 including the decisions made above. 1.2 This Committee has considered the Medium Term Financial Strategy (MTFS) for 2018/19 onwards on a number of occasions during the course of the financial year.� At its meeting on 28 June 2017, the Committee initiated the budget process by noting the issues and risks associated with delivering the budget for 2017/18 and updating the Medium Term Financial Strategy.� It agreed an approach to development of an updated Medium Term Financial Strategy for 2018/19 � 2022/23 and a budget for 2018/19 and noted the assumptions to be used for planning purposes, including annual Council Tax increases in line with the government�s referendum limit. 1.3 At its meeting on 25 October 2017, Council agreed a MTFS for the next five years.� The starting point for the MTFS was the Council's own relatively strong financial position.� Most budget savings for 2017/18 were on track for delivery; a modest underspend was projected for the year as a whole; and the level of reserves was adequate, but not excessive.� However, the MTFS referred to a high degree of uncertainty about the medium term position.� There are just two more years to run from the four year period of the local authority financial settlement announced in 2016.� The final year of the four year period includes �1.6 million negative Revenue Support Grant payable by this Council to central government.� After 2020/21 it remains unclear how any new financial settlement will affect the Council.� It is also unclear how lower than expected overall economic growth will impact the Council. 1.4 Given the uncertainty about the future, various potential scenarios were modelled in the MTFS, representing (a) favourable, (b) neutral and (c) adverse sets of circumstances.� All scenarios assumed that budget savings included within the existing MTFS would be delivered.� Projections were prepared for each of the scenarios modelled and the MTFS stated that budget proposals would be sought to address all the potential scenarios. 1.6 The budget proposals are shown at Appendix B. 1.7 The Provisional Local Government Finance Settlement 2018/19 was announced by the Secretary of State for Housing, Communities and Local Government on 20 December 2017.� The settlement confirmed that the position for 2018/19 would be in line with the already announced four year funding settlement. 1.8 The Secretary of State said that MHCLG will �be looking at fair and affordable options for dealing with Negative RSG�.� This is welcome, given that we face �1.6m of negative RSG in 2019/20, but it remains to be seen what the outcome of this review will be. 1.10 No further changes to the regime for New Homes Bonus were announced.� The amount receivable by Maidstone Council for 2018/19 will be �3.2 million, compared with a projected �3.1 million.� Given the Council�s existing policy of using New Homes Bonus for capital expenditure, this will ameliorate somewhat the burden of funding the capital programme. 1.11 Finally, it was announced that Kent & Medway will be a 100% Business Rates pilot area in 2018/19.� This is likely to provide the Council with an additional amount of income on a one-off basis, initially estimated as �640,000.� Proposals for how this income is to be deployed are set out in paragraph 1.34 below. Budget proposals for services within the remit of the Committee were agreed. A decision was deferred to the meeting held on 22 January 2018, as there was the potential for the budget proposals to change following consideration of the future of the Park & Ride Service.� In the event, the decisions made by the Committee on 22 January did not require any changes to the budget proposals and the budget proposals were agreed for submission to the Policy and Resources Committee. In response to a question, Members were advised that the anticipated income for Heather House had not been realised due to the temporary closure of the facility and it was anticipated that the historic shortfall in income would continue into 2018/19 requiring a deficit of �25,000 to be made up from other budgets. This was reflected in the budget proposals. The budget proposals were agreed for submission to the Policy and Resources Committee. It was noted that the market operated by the Council at Lockmeadow had consistently under-performed on its income targets. It was considered that a reduction of �40,000 on an ongoing basis should be incorporated into the strategic revenue projections. Provision had been made in the budget for 2017/18 for a loss of budgeted income from the Mote Park Caf� of �96,000, following the poor performance of the Caf� in 2016/17. The operation of the Caf� had been contracted out and an additional income of �56,000 had been reinstated in the budget. This was in line with the additional amount expected to be received under the new contract. The Committee noted that the Council would still be providing Christmas lights for the Town Centre in 2018. In summary, there were no changes proposed to the budget proposals arising from consultation with the Service Committees. 1.17 Policy and Resources Committee agreed at its meeting on 13 December 2017 that the Council Tax Base for 2018/19 will be 60,921.6.� This would yield total Council Tax income of �15,264,516 if Band D Council Tax is increased by �4.95, as assumed prior to the Secretary of State�s announcement of 20 December. 1.18 Alternatively, Council Tax would yield �15,407,072, an additional �142,566, if the Band D rate is increased by �7.29, the maximum now permitted without triggering a referendum. 1.19 The difference between an increase of �7.29 and an increase of �4.95 is less than 5p per week.� This is the impact that would be felt by those paying the full amount of Council Tax; those taxpayers benefitting from the Council Tax Reduction Scheme pay 20% of the full rate (subject to any other discounts available to them) and would therefore pay an additional 1p per week. - Pressures on the Council�s budget mean that even a marginal difference in Council Tax income is of value.� An increase at the maximum level will allow a balanced budget to be set, assuming no changes to any of the other budget assumptions. - The increased referendum limit of 3% may not apply in future years.� There is a clear link between the current rate of inflation and the limit that the government has now set; with reduced inflation, the referendum limit may revert to 2% or less, thus preventing the Council catching up in subsequent years with the effects of inflation. - Because the starting point for calculating the referendum limit in any given year is the previous year's Council Tax, agreeing a lower increase this year would reduce the Council�s room for manoeuvre in future years. 1.21 It was reported to Policy and Resources Committee on 13 December 2017 that there would be a surplus on the Collection Fund arising from Council Tax collection activity as at 31 March 2018.� Maidstone Borough Council�s share of this surplus is �228,703.� Whilst Council Tax generated a surplus, Business Rates generated a deficit � see paragraph 1.26 below. 1.22 The Business Rates income estimate for 2018/19 is based on the recently completed NNDR1 return that has to be provided to the Department of Housing, Communities and Local Government each January.� The Business Rates baseline, ie the notional amount of business rates due to the Council, after payments to preceptors and the government�s tariff, excluding any growth, is �3.136 million. 1.23 The NNDR1 return indicates that there will be further business rates growth in addition to this.� This growth will be pooled with that of all the local authorities that form part of the Kent & Medway Business Rates pilot.� In return, Maidstone will receive the amount to which it would have been entitled under the existing arrangements, plus a share of the Financial Sustainability Fund that will be established using 70% of the pilot proceeds.� The business rates growth to be accounted for as part of the General Fund budget, excluding the Financial Sustainability Fund, is expected to be �196,000 greater than projected in December 2017. 1.24 Proposals for applying proceeds from the Financial Sustainability Fund are described below in paragraph 1.34 and are set out in Appendix C.
1.25 The Council will also benefit jointly with the other North Kent authorities from the Housing and Commercial Growth Fund that will account for the remaining 30% of the pilot proceeds.� No account has been taken of this second element of the pilot proceeds in the budget proposals. 1.26 The NNDR1 provides our latest estimate of the balance on the Collection Fund arising from Business Rates collection activity as at 31 March 2018.� Business Rates have recorded a deficit, of which Maidstone Borough Council�s share is �646,838.� Business Rates income is very difficult to predict, owing to the high incidence of appeals, and over �2 million has been charged against the provision for appeals in 2017/18.� Taking into account the surplus on Council Tax, the net deficit on the Collection Fund, which needs to be built into the budget, is �418,135. 1.27 The level of fees and charges made by each Service Area were considered by Service Committees at their meetings in January 2018.� The combined considerations of all fees and charges has been incorporated in the budget proposals in Appendix B. 1.28 MTFS assumptions have been updated in the light of developments since Council adopted the MTFS in October 2017.� Inflation remains at a higher level than the government�s 2% target.� This has fed through into many of the input costs faced by the Council, in particular the following. 1.29 The benchmark for employee pay increases was set by local government employers� offer of a 2% pay increase for 2018/19.� Whilst Maidstone Borough Council agrees pay for its staff independently, it has also offered an increase of 2%.� This is higher than the increase of 1% originally included in the MTFS.� The additional cost is �173,000 and is included under inflation and contract costs in the strategic revenue projections. 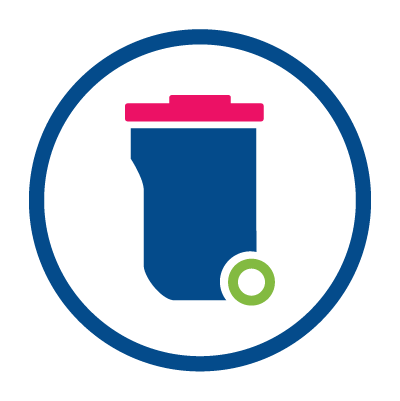 1.30 Costs of the Biffa waste collection contract are linked to inflation and it estimated that the additional costs arising, based on the latest inflation figures, will be �157,000 in 2018/19. 1.31 An allowance is made in the Strategic Revenue Projection for the revenue costs of the capital programme, ie financing costs and Minimum Revenue Provision.� Now that projections of capital expenditure have been updated, following development of the capital programme that was presented to Committee on 24 January, it is clear that the revenue costs of capital expenditure will be delayed.� This has led to a reduction of �138,000 in the projected costs in 2018/19. 1.33 Owing to a combination of factors, the surplus anticipated in December has reduced.� However, assuming that Council Tax is increased by 3%, it will be possible to project a budget surplus of �97,000 for 2018/19.� This surplus will be carried forward to 2019/20 and will help to mitigate the projected shortfall in that year. 1.34 This Committee considered the approach to allocating the proceeds from the Business Rates Retention Pilot Financial Sustainability Fund at its meeting on 24th January 2018.� As this is likely to be a one-off contribution, rather than an ongoing addition to the budget, it is appropriate to treat the proceeds as a discrete item in the budget. 1.35 Appendix C sets out proposals for a number of projects, to be funded from the Financial Sustainability Fund.� There are potentially further funds available from the pilot, in the form of the �Housing and Commercial Growth Fund�.� Decisions about the allocation of this money are to be made collectively by the Leaders of the North Kent cluster of authorities. 1.36 The proposals set out in Appendix C are focused primarily on the Council�s key strategic action areas.� In each case, it is hoped that an initial investment, as described in the Appendix, will have a much broader long term impact. 2018/19 based upon the details set out in this report. The Estimate for 2018/19 is analysed between gross expenditure, income and net expenditure, so that Members may see clearly how income generated by the Council contributes towards expenditure budgets. 1.38 Appendix D presents the Committee with the budget structured in line with the relevant Service Committees and separately structured in line with the strategic priorities set out in the Strategic Plan. 1.39 The Revised Estimate 2017/18 shown in Appendix D totals �18,896,890. This figure is net of all income with the exception of the use of balances, the finance settlement and the council tax requirement. 1.40 The Estimate for 2018/19 shown in Appendix D totals �19,362,120. This incorporates the savings and other adjustments discussed above. The figure is net of all income with the exception of the use of balances, business rates income and the finance settlement and the council tax requirement. This figure excludes the value of all precepts. 1.41 A draft Capital Programme was reported to Committee at its meeting on 24 January 2018.� The Capital Programme totals �74 million over five years and includes a number of major schemes intended to achieve the Council�s long term strategic objectives.� Details are set out Appendix E.
1.42 At Members� request, capital expenditure to be funded from Section 106 contributions is included in Appendix E.� The figures shown for Section 106 funded capital expenditure represent expenditure against contributions actually received, excluding any future contributions. 1.43 The Council has the power to borrow to finance capital expenditure subject to the guidance set out in the Prudential Code. ��In 2012 the Council approved in principle the use of prudential borrowing, but it has not yet needed to undertake any.� Current cash flow projections indicate that prudential borrowing will not be required until 2019/20. �The proposals set out in this report suggest a need to consider up to �44,651,000 of prudential borrowing over the life of the programme. 1.44 To date the Council has not borrowed to finance the capital programme, as the value of borrowing was outweighed by the benefit of using the Council�s own resources.� So long as the Council is holding cash balances, there is no merit in borrowing externally, given the margin between borrowing and lending rates of interest.� This is termed �internal borrowing�.� It is anticipated that the Council will continue to be able to rely on internal borrowing for most of the financial year 2018/19. 1.45 In considering the Treasury Management Strategy 2018/19 for recommendation to Council, the Audit Governance & Standards Committee has been made aware of the potential for the level of prudential borrowing that would arise from the approval of the recommendations in this report.� The Audit Governance & Standards Committee has agreed the Treasury Management Strategy subject to any amendments arising from consideration of the Capital Programme by Policy and Resources Committee.� The updated Treasury Management Strategy is accordingly included as Appendix F.
1.46 Attached at Appendix G is a statement of general fund balances and details of earmarked reserves.� The earmarked reserves incorporate a capital reserve that includes all of the retained New Homes Bonus and other revenue support to the capital programme available from previous years. 1.47 The estimated level of resources available from business rates growth is identified. The in year receipt will be held for use in the following year based on the principles set out in the memorandum of understanding to the Kent Business Rates Pool. a) The first is an absolute minimum below which the Committee cannot approve the use of balances without agreement by the Council. Since 2009 this has been held stable at �2,000,000 despite the net revenue expenditure level decreasing from �22 million to �19 million. It is recommended that Committee propose to Council that the minimum level of balances be maintained at �2,000,000. b) The second is an operational minimum set for daily use of balances by the Policy & Resources Committee. In the past this has been set �300,000 above the Council set minimum. This makes �2,300,000 and it is recommended that Committee approve the principle that the minimum level of balances for daily use should be �300,000 above the Council set minimum. It is considered that the projected level of balances at 31 March 2019 is adequate but not excessive. 1.49 Attached as Appendix H is the Medium Term Financial Strategy, updated to reflect the latest position as described in this report. 1.50 The financial projection that complements the Medium Term Financial Strategy is the Strategic Revenue Projection given at Appendix A. The financial projection considers the need for growth and savings over the period of the Medium Term Financial Strategy and incorporates assumptions about inflation and changes in local and national initiatives. 1.51 The financial projection that complements the Capital Medium Term Financial Strategy Statement is the capital programme given at Appendix E.
1.52 The Strategy may require amendment following Committee�s consideration of this report or following consideration by Council on 28th February 2018.� The final versions will be published as part of the budget documents on the Council�s website following the Council meeting. 2.1 Option 1: To not recommend a budget or recommend a budget that is not balanced to Council. 2.2 The Council is statutorily required to set a balanced budget in time for the new financial year and in time for council tax billing to be achieved. If the Committee were to decide not to recommend a budget or recommend a budget that was not balanced Council would not be able to accept the proposal. A budget would need to be set and this would happen without the information or guidance from this Committee�s work over the past year. 2.3 Option 2: The Committee could amend the budget set out in this report but would need to take care that the final recommendation to Council is a balanced budget. 2.4 The Director of Finance and Business Improvement (section 151 Officer) must provide confirmation to Council that �the budget calculations are based upon robust estimates and that the level of reserves is sufficient for the purposes of the budget exercise�. Care must be taken in amending the budget set out in this report so that the Director of Finance and Business Improvement is able to make the necessary confirmation. 2.5 Option 3: the Committee recommend the budget set out in this report, including the proposed council tax charge. 3.1 Option 3 is the preferred option. 4.1 The Council's MTFS is subject to a high degree of risk and certainty.� In order to address this in a structured way and to ensure that appropriate mitigations are developed, the Council has developed a budget risk register.� This seeks to capture all known budget risks and to present them in a readily comprehensible way.� The budget risk register is updated regularly and is reviewed by the Audit, Governance and Standards Committee at each of its meetings. 5.1 Policy and Resources Committee received an initial report on the MTFS at its meeting on 28 June 2017 and has subsequently received further reports on the development of the budget for 2018/19.� Council agreed the MTFS at its meeting on 25 October 2017. 5.2 Residents have been asked to consider our priorities as a Council as part of a survey that was carried out in Summer 2017 and has subsequently been reported to Service Committees.� This survey asked, amongst other questions, whether residents agreed or disagreed that the Council provides good value for money.� This did not indicate a strong opinion either way, although overall more residents tended to agree, or agree strongly, than disagreed. 5.3 Detailed budget proposals were published in December 2017 and were considered by individual Service Committees.� The outcomes of this consultation are set out in this report at paragraphs 1.12 to 1.16. 6.1 The timetable for setting the budget for 2018/19 is set out below. The Medium Term Financial Strategy and the budget are a re-statement in financial terms of the priorities set out in the strategic plan. Specifically, the capital programme allows for investment in long term projects that support the strategic plan objectives. The Council has a statutory obligation to set a balanced budget.� Allocation of resources� in the way set out in this report supports achievement of a balanced budget. Where appropriate, Equalities Impact Assessments are carried out for specific budget proposals. Procurement of the capital schemes described in section 2 of this report will be in accordance with the procurement provisions within the Council�s constitution. There are no background papers.